The Second World War is drawing to a close, but the world is far from safe. Left to fend for themselves, women and children are forced out of their homes in East Prussia to make way for the advancing victors. As the Russian soldiers arrive, the women know that they are still very much in danger, and that for them, the fight for survival is only just beginning. Facing critical food shortages and the onset of a bitter cold winter without heat, the women send their children into the nearby forests where they secretly cross the border into Lithuania, begging the local farmers for work or food to take back home to their waiting families. Along the way the children find cruelty, hardship and violence, but also kindness, hope, and the promise of a new and better future. 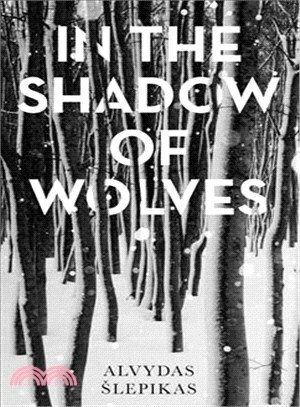 Based on meticulous research, this stunning and powerful debut novel by Alvydas Slepikas tells for the first time the story of the "wolf children" and the measures many families were forced to take in order to survive. Alvydas ?lepikas is one of the most multi-talented contemporary Lithuanian writers – he is a poet, prose writer, playwright, screenwriter, actor and director. His works include two books of poetry, a short story collection and a novel, Mano vardas – Maryte (My Name is Maryte, 2012). He has frequently edited editions originating from the annual Spring Poetry Festival, edited the cultural weekly, Literatura ir menas, and currently oversees the fiction section of this journal. Romas Kinka works as a forensic linguist and a literary translator and finds that the two disciplines complement one another. Born in Lithuania, he has lived in England on and off since the age of six but returns to his motherland every day by translating the work of Lithuanian authors.